On Feb. 7, Laguna Art Museum will re-open its lower level galleries, which have been under major renovation since early 2018. 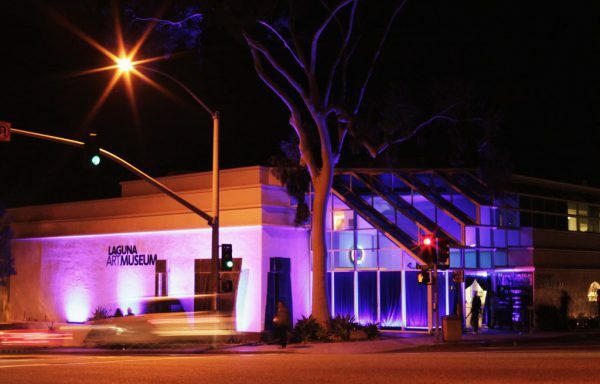 On Thursday, Feb. 7, Laguna Art Museum will celebrate the re-opening of its lower level galleries, which have been under major renovation since early 2018. The lower level space, which was completed in 1934 as an addition to the 1929 building, will host exhibitions again beginning March 3. The passageway between the Brief Gallery and the Segerstrom Family Gallery was enlarged; the exhibition spaces were expanded by about 20 percent; and the historic floor, inscribed with the names of the donors to the project of finishing the lower level in 1934, was restored. Architectural services were provided, pro bono by Anders Lasater Architects, and Al Oligino and Michael Laux of Oligino Construction Services Corp took on the construction. The museum is grateful to the City of Laguna Beach for its support through the Cultural Facilities Improvement Matching Grant Program. On Sunday, Jan. 20, from 9 a.m. to sundown, a small group of local Laguna Beach artists will sell their handmade goods on the cobblestones of Main Beach. The Laguna Craft Guild holds these art shows once or twice a month. For more information, visitlagunacraftguild.org. JoAnne Artman Gallery is pleased to present, “America to Me,” an exhibition featuring both new and retrospective work rooted in America Martin’s investigation of the human form and its context. LA-based Martin draws inspiration from her Colombian heritage and the human figure to represent a diverse portrayal of what and who America is.Offering a hopeful look towards a future of inclusivity and acceptance, Martin’s artwork alludes to the America we hope to be. An artist’s reception will take place on Thursday, Feb. 7, from 6-8 p.m. in the gallery at 326 N. Coast Highway. RSVP by Feb. 1 to 949-510-5481. The public is invited to enjoy food and wines, the South Laguna Garden Band, a cakewalk, and festive games for grown-ups at LOCA’s annual fundraiser Sunday, March 24, from 4-7 p.m. at Neighborhood Congregational Church, 340 Saint Ann’s Drive. Honorees are Susan Brown, Pastor Rodrick Echols, Kristen Purll, Greg Rayes, and Mike Tauber, the program committee of the Festival of Mosaics, the hands-on art project recently constructed at the church. 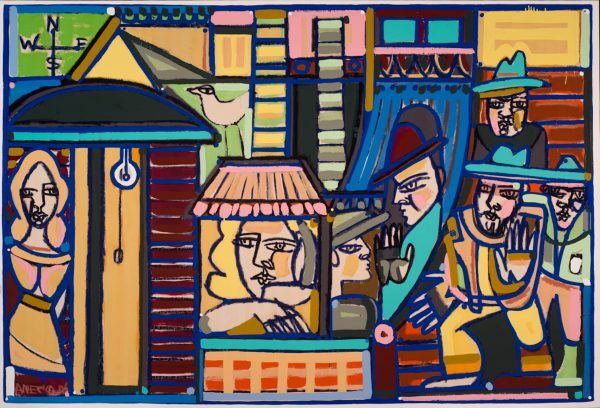 Live and silent auctions will feature culinary and travel experiences including a two-night stay at the Donatello Hotel in San Francisco, and art by Marlo Bartels, Kathy Jones and Scott Moore. “We look forward to partying in the beautiful and historical Bridge Hall,” said event chair Pat O’Brien. To buy individual $50 tickets, or $180 for a party of four, call LOCA at 949-363-4700.